CCS’s customized approach makes support worry free. Whether you need general answering services, or high-end customer service to support a specific product, our call center solutions provide the assistance your business needs. We offer consistency, speed, and accuracy along with the ability to build great rapport with your customer base. 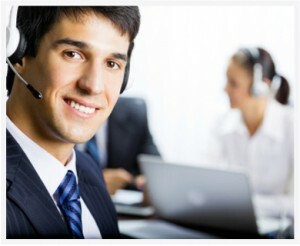 Our experienced call center staff develops a scope of work with you to identify and map out any solution you need. This includes building a call flow, setting your hours of operation, recording introduction and hold messages, setting hold times with custom or generic hold music, voicemail options and boxes, IVR options, as well as any off site routing of calls.